Last weekend I spent a couple of very relaxing days in Falmouth, MA hanging out with some girlfriends. Lots of laughs, good food and cocktails were enjoyed by all. On Saturday afternoon, we took a little field trip to a property in town called Highfield Hall. 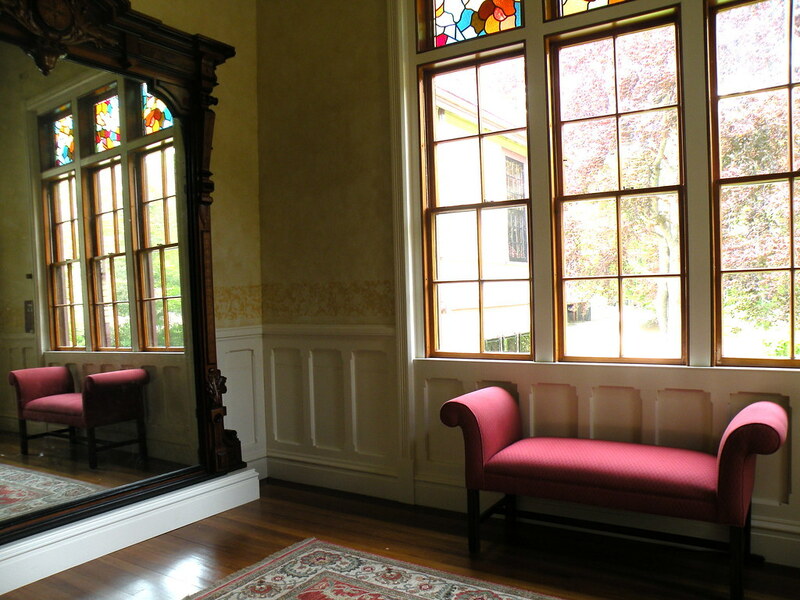 This classic Queen Anne Victorian house, which is 17,000 sq. 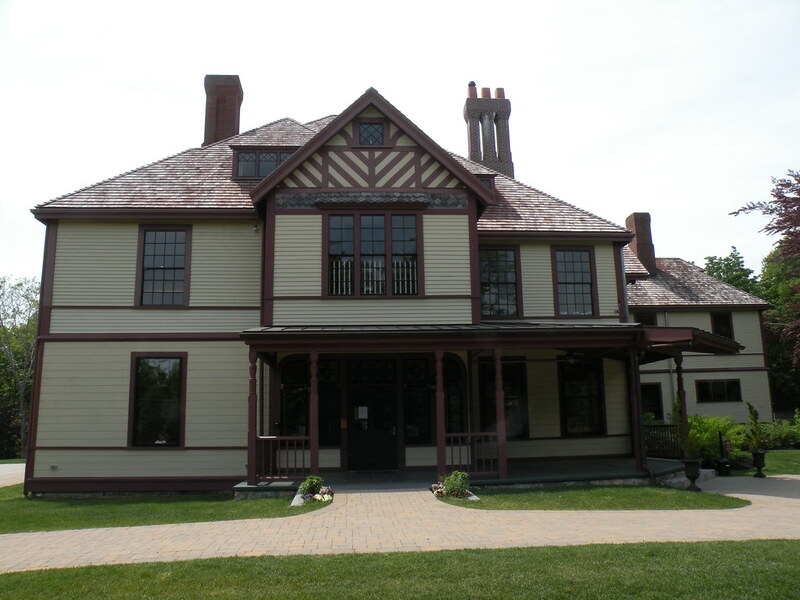 ft., was completed in 1878 by the sons of James and Ester Beebe of Boston who had purchased the nearly 700 acres of land near their summer home in Falmouth. 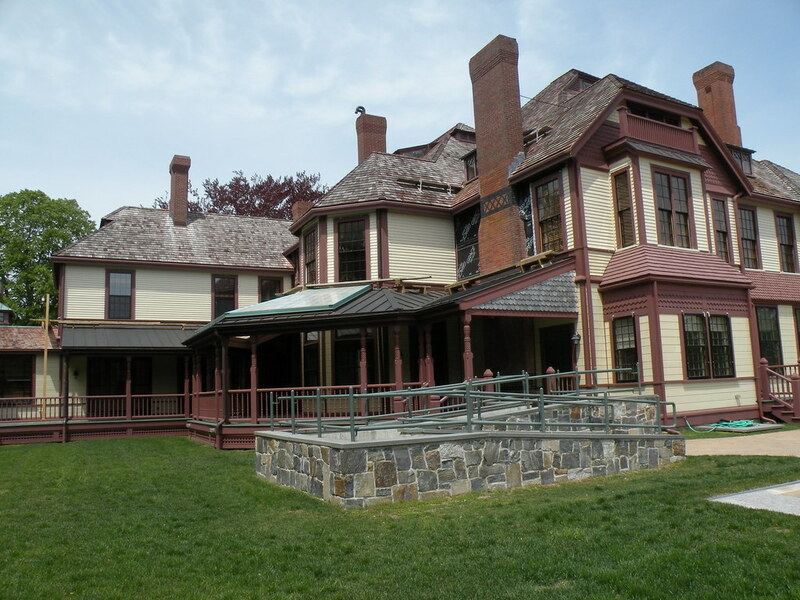 The Beebe sons each built a home, Highfield Hall in 1878 and Tanglewood in 1879. 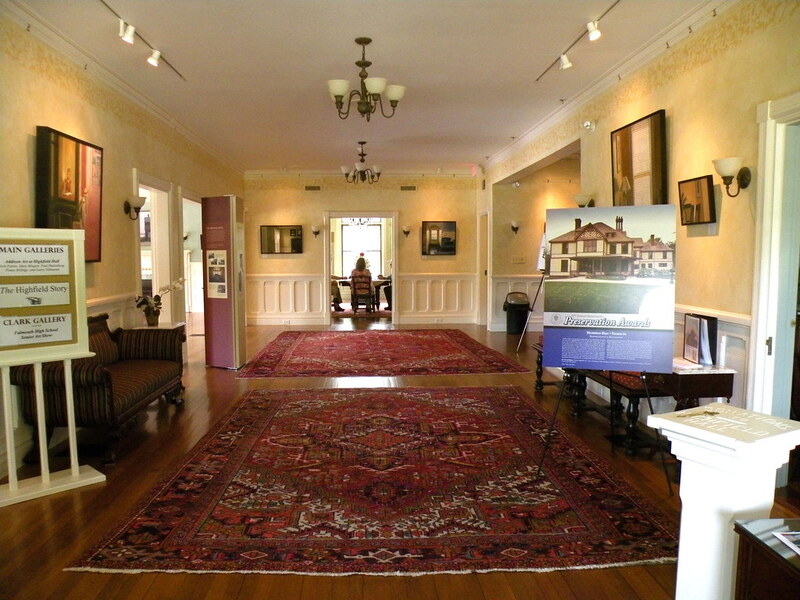 In 1949, Highfield Hall was purchased by DeWitt TerHeun and his wife who brought theater and the arts to the grounds. Unfortunately, they also mangled the exterior of the building, creating a faux plantation style look. Yuck. Mr. TerHeun died in 1962 and by 1972, developers were eying the property. It was then purchased by philanthropists Josephine and Josiah K. Lilly who donated the then nearly 400 remaining acres to the town of Falmouth for permanent conservation. Unfortunately, Tanglewood was demolished by 1977 and over the next two decades Highfield Hall fell into sad disrepair. 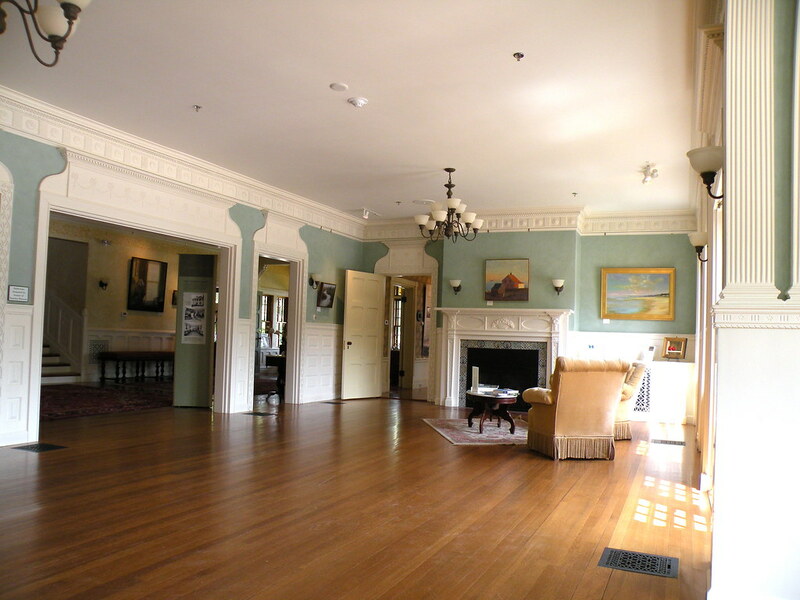 Luckily, a group of concerned people banded together and formed the Friends of Highfield and established the hall as a non-profit and saved it from the wrecking ball. 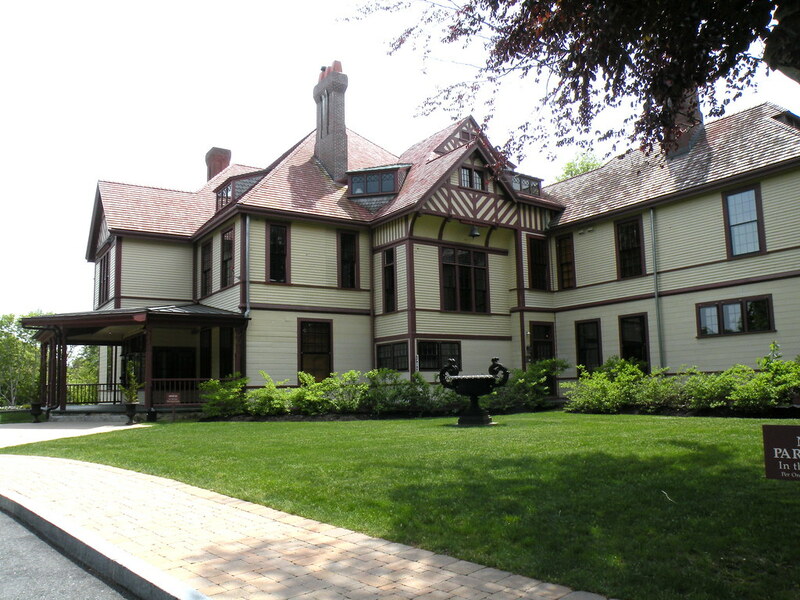 Starting in 2001 with a fund of $8,000,000 donated by private individuals, the restoration began. 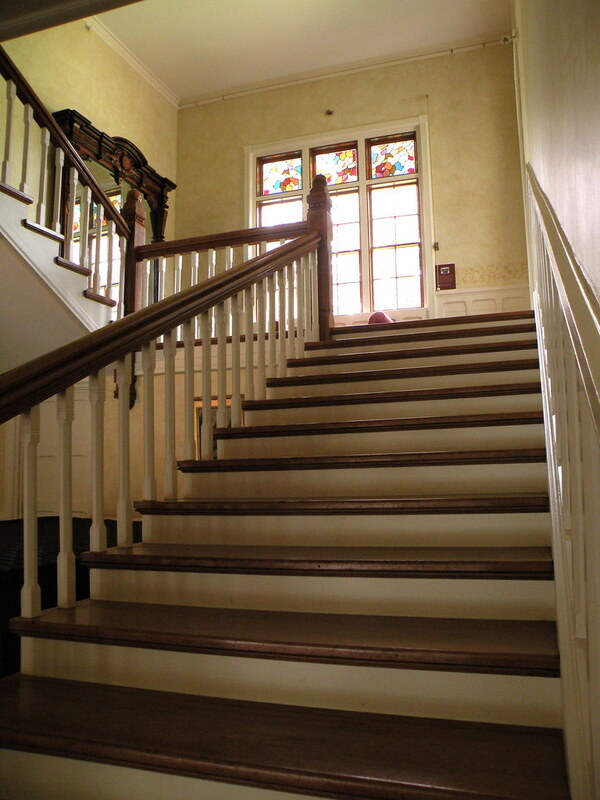 Luckily, the house was open for a meeting so I was able to wander around and take some pics of the amazingly interiors. As you can imagine with a restoration this significant, the building has been restored, but the furnishings are harder to come by. The house can be rented out for weddings and I can just imagine how beautiful it would be, filled with round tables and beautiful floral arrangements. 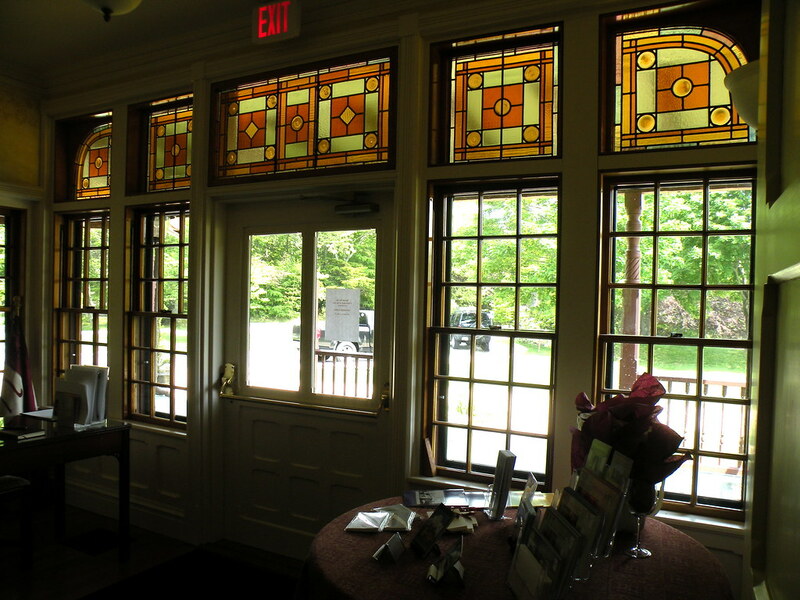 Here are the stained glass windows at the front entrance. 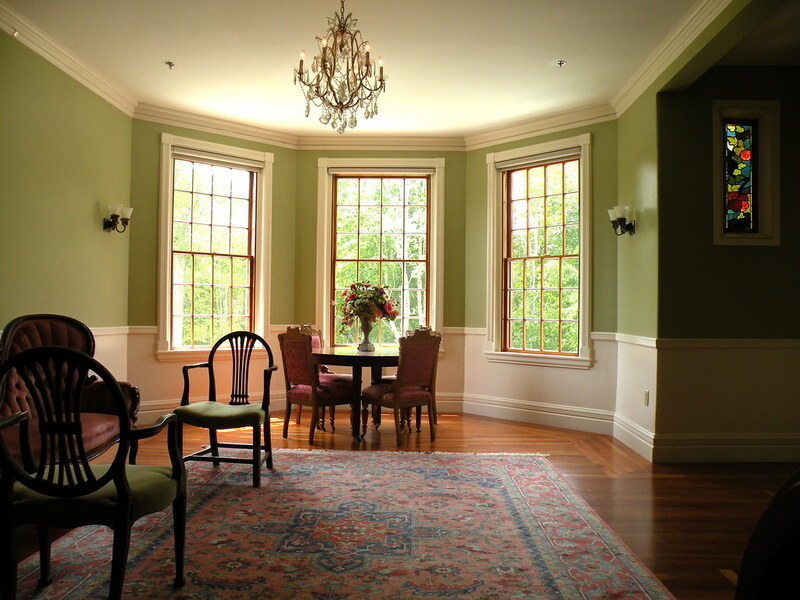 This beautiful room is the first parlor space off the Great Hall. 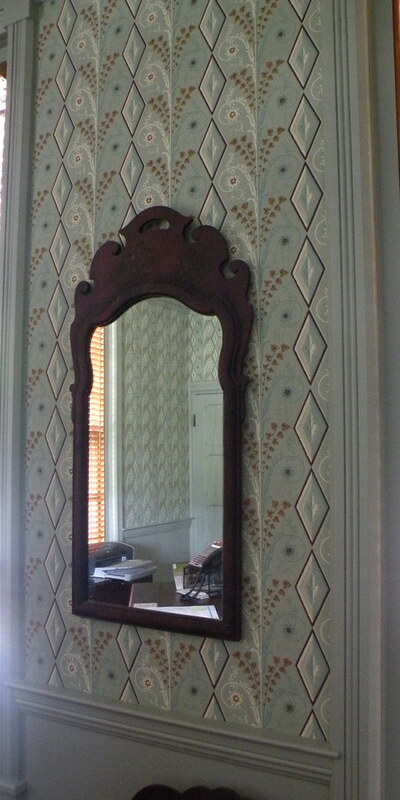 The beautiful wallpaper is William Morris “Windrush” and the trim is one of my absolute go-to colors, Ben Moore Philadephia Cream HC-30. Detail of the William Morris wallpaper. 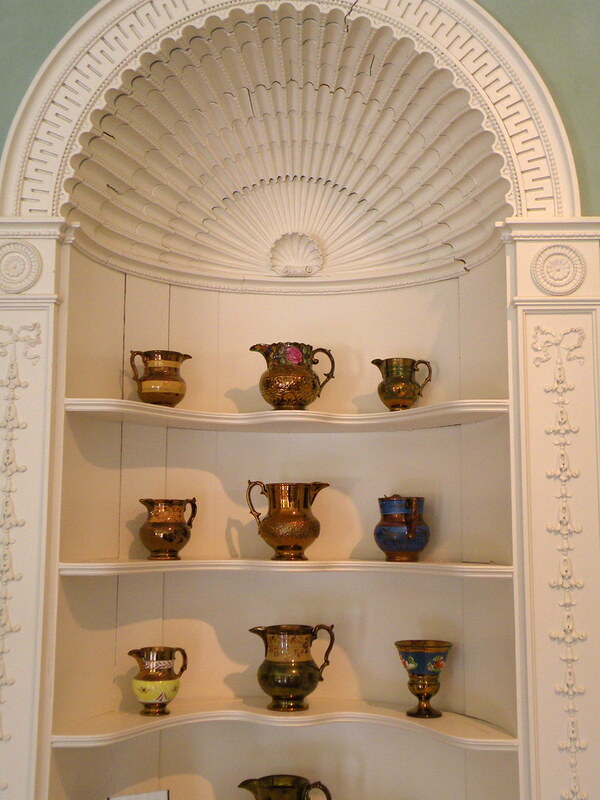 The bottles were excavated from trash sites on the property. 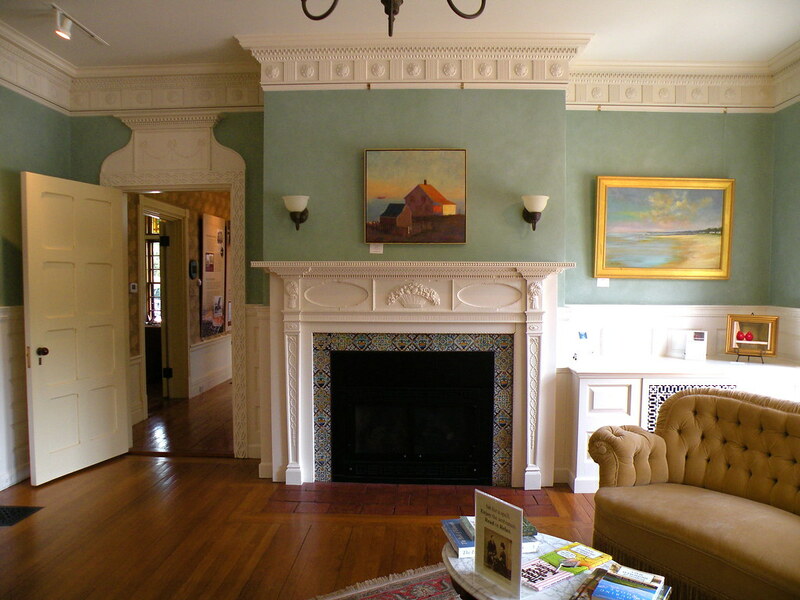 Across from the left-hand parlor is the small right hand parlor, which is currently used as an office. 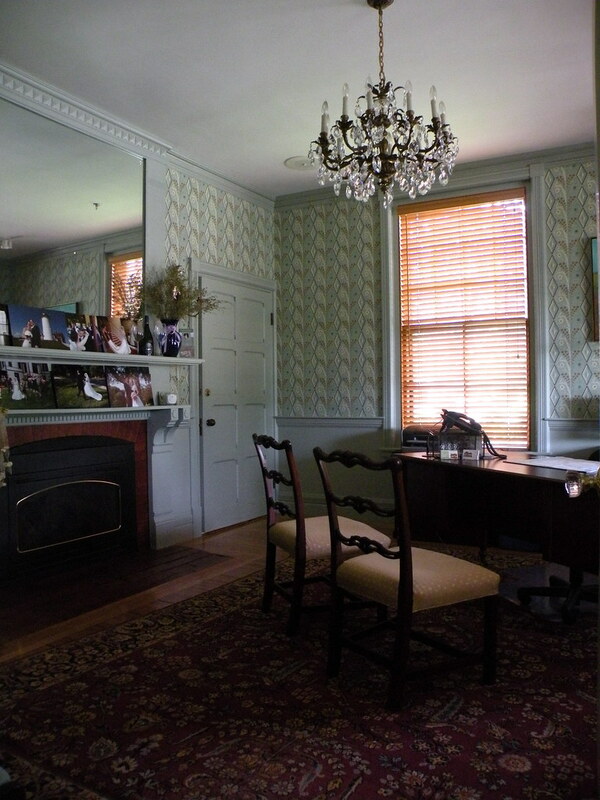 The walls are papered in Brunschwig & Fils “Gallier Diamond” and the trim is a custom Donald Kaufman color. This is the glorious ballroom. 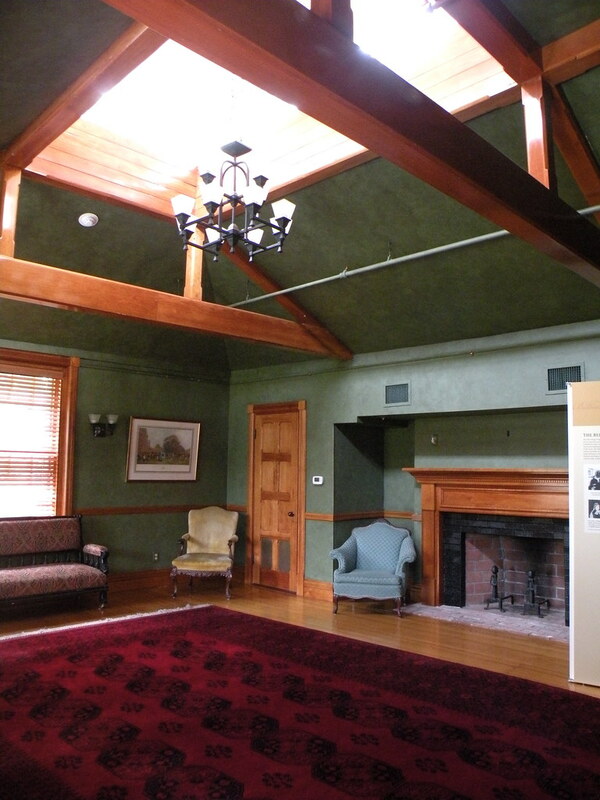 The woodwork is stunning and the light filled room just begs to be used for entertaining. 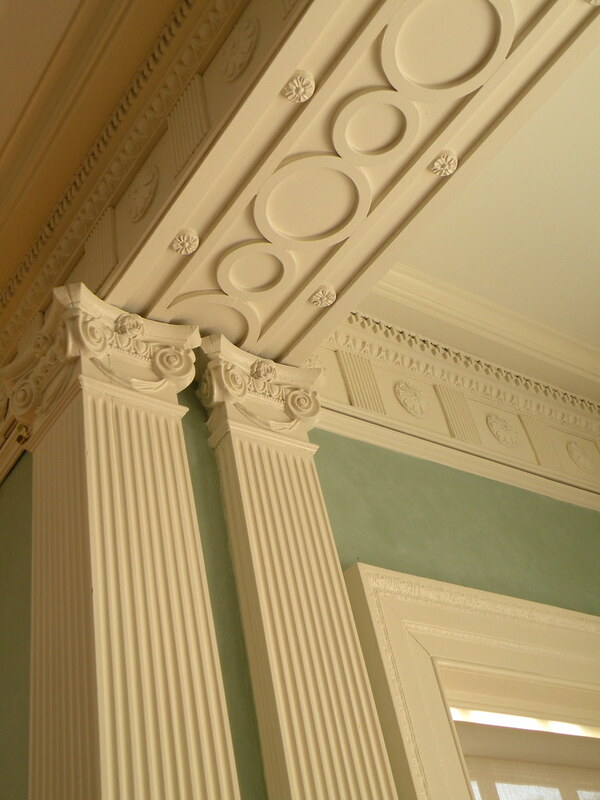 The walls are painted in Ben Moore Norway Spruce with a lighter blue overglaze, the trim is BM Linen White. 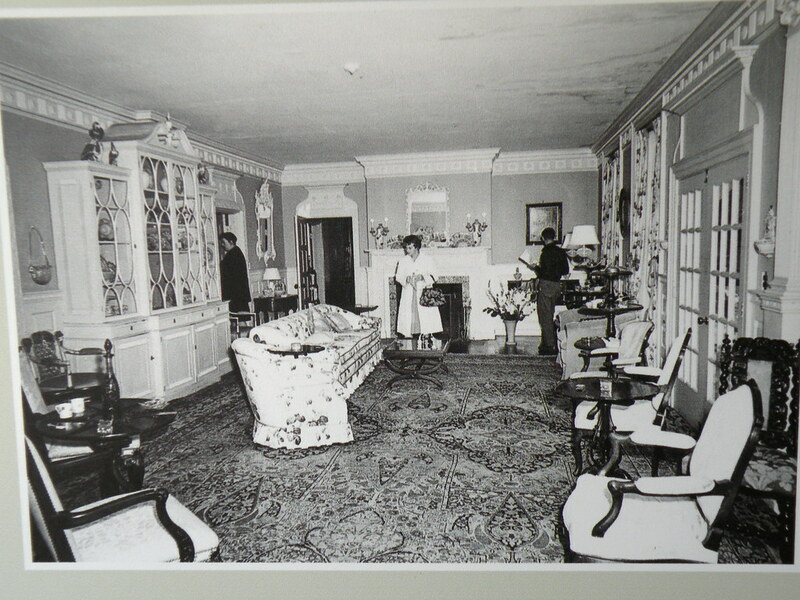 This is one of only two known vintage photographs of the interiors. 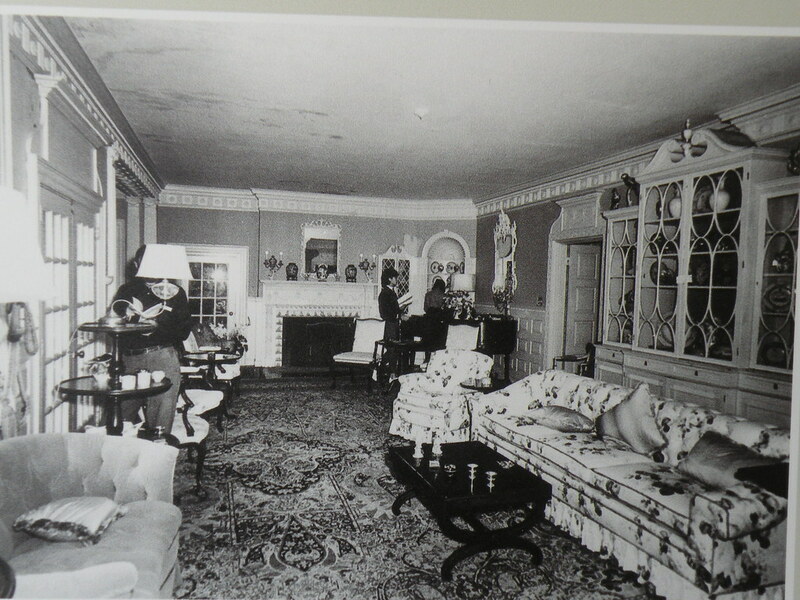 Note the tri-part china cabinet along the wall on the left, this is now a large opening to the Great Hall. 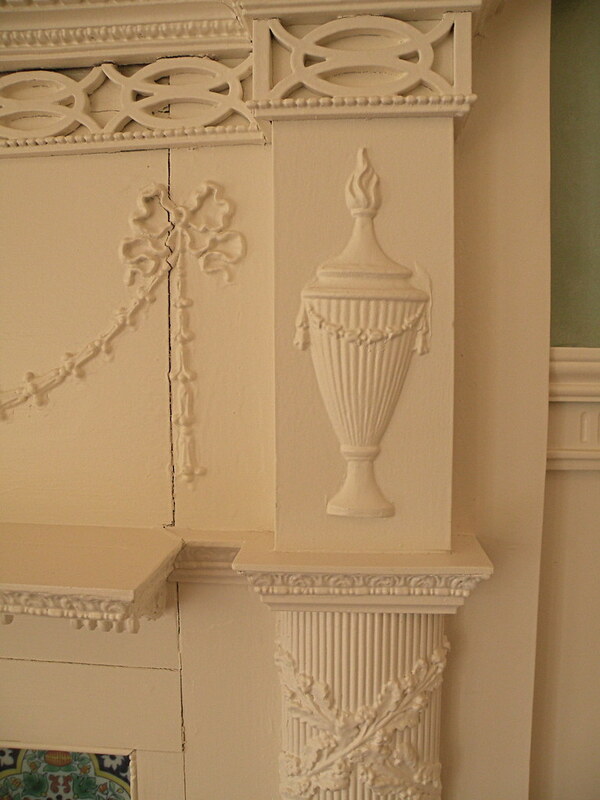 The plaster and woodwork is simply to die for. This is the billiard room of the back of the house. One can imagine the men retiring to this room to smoke their cigars and drink their brandies. 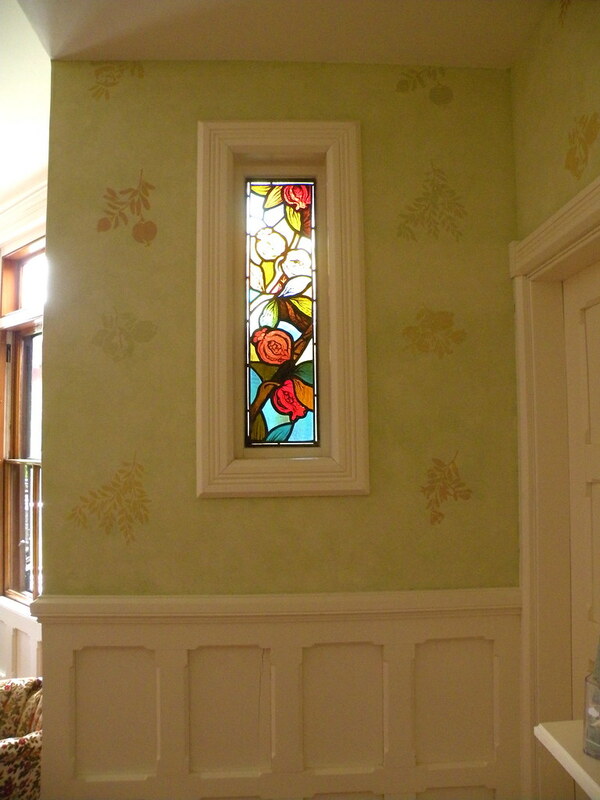 This is the clearest example of Arts & Crafts style architecture in the house. The walls are painted in BM HC122, with an overglaze of HC 2144-10 with a touch of umber. 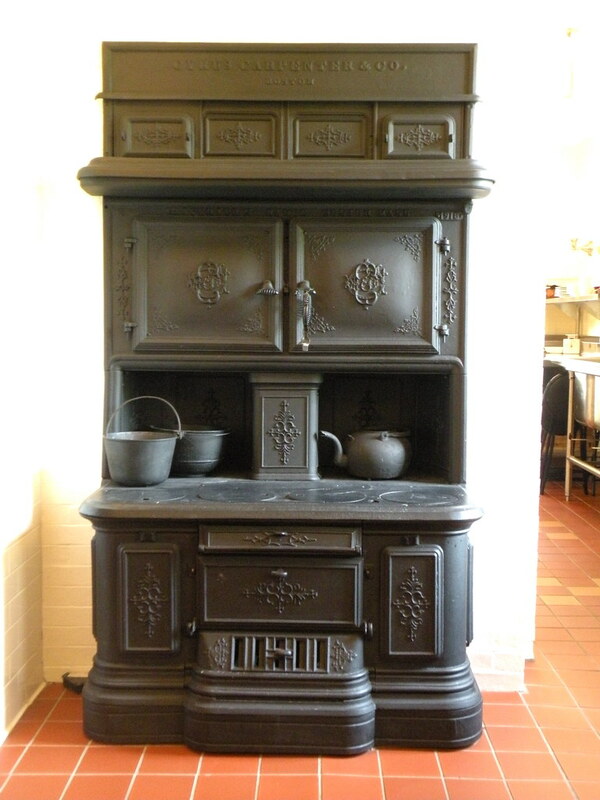 Here is the original cast iron cooking stove in the kitchen, made by the Cyrus Carpenter & Co. of Boston. 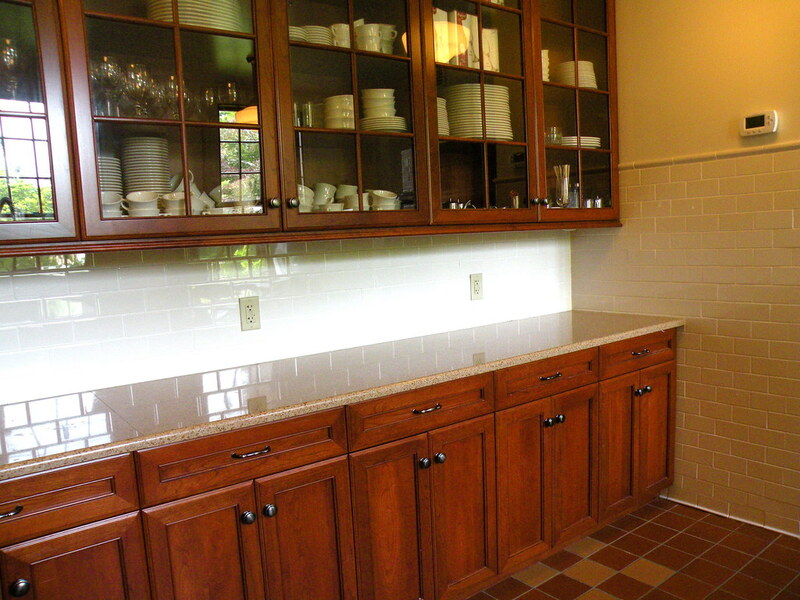 The pantry cabinets are from Creative Kitchens in Mashpee, with subway tile walls. Here is the dining room at the center rear of the first floor. 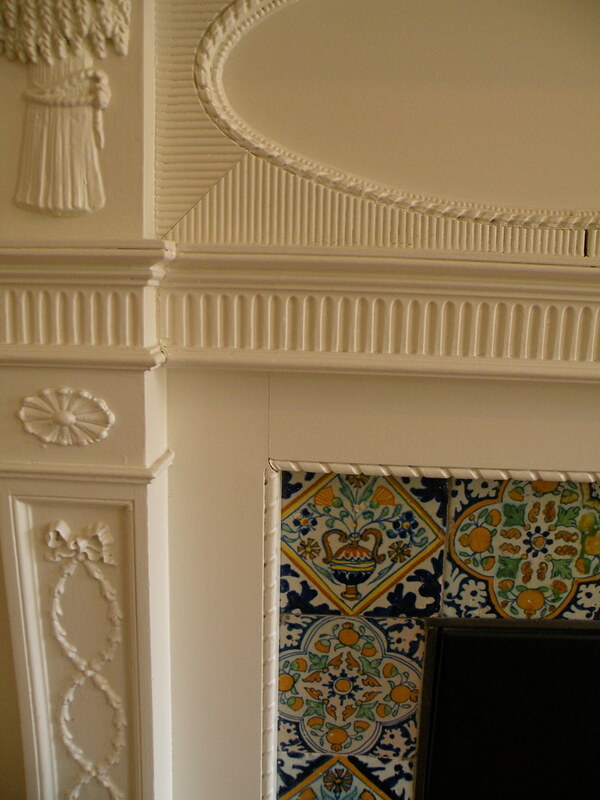 The walls are painted in BM Navaho white with a green overglaze. 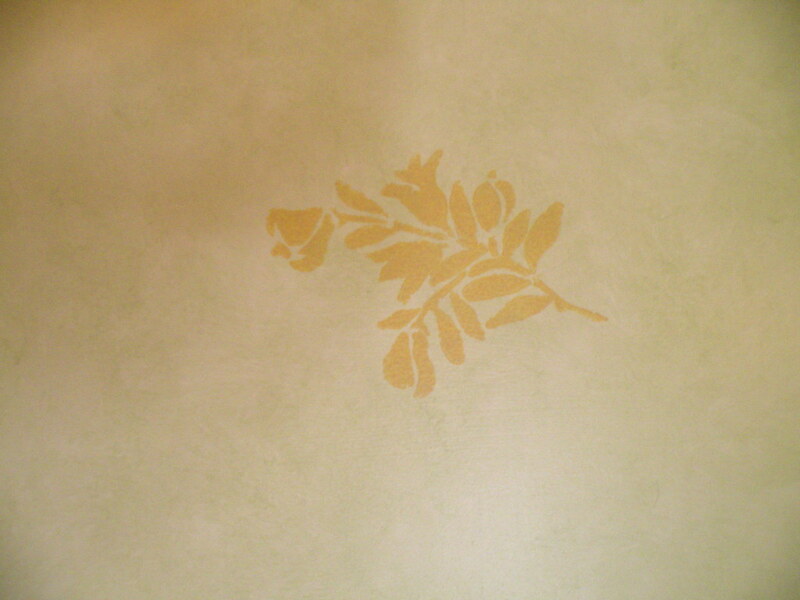 The custom stencil is of a pomegranate that coordinates with the Great Hall stencil design and is inspired by the stained glass window inset shown below. 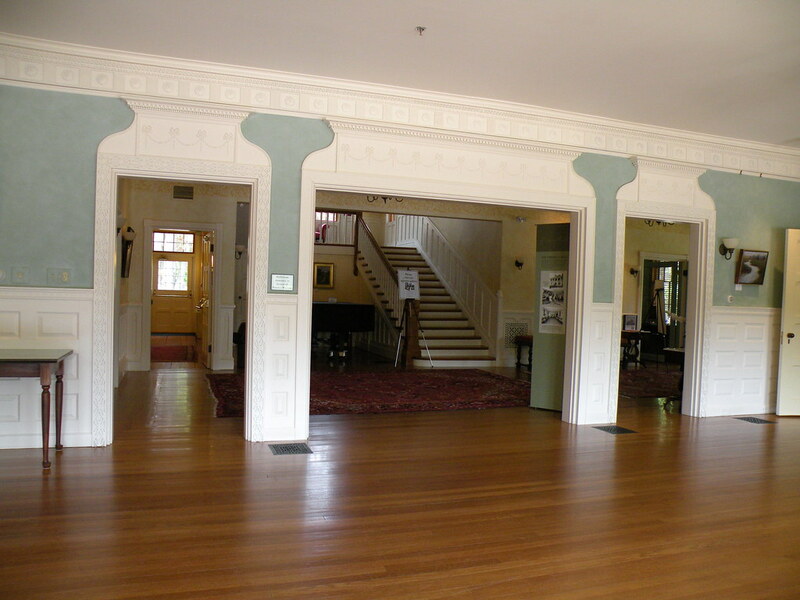 This is the upstairs hall that matches the Great Hall on the first floor. 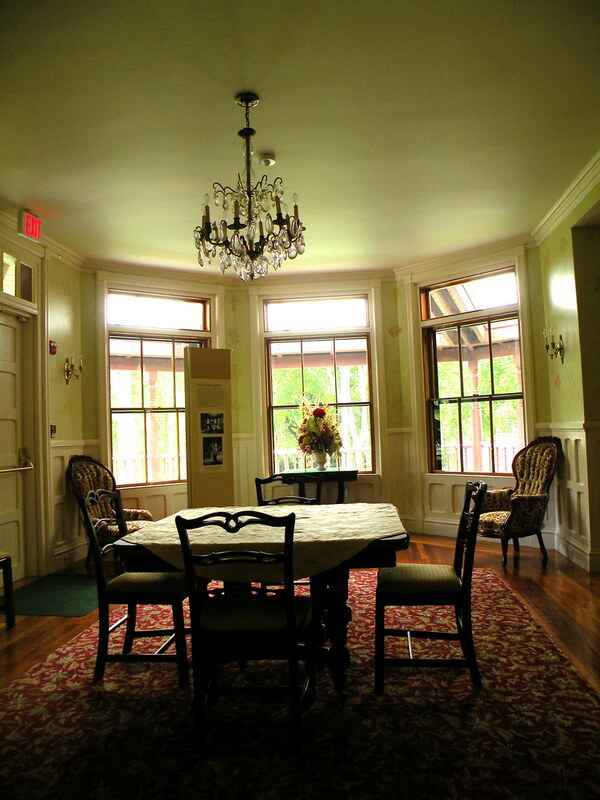 The Ter Heun room on the second floor is located above the first floor dining room. It is painted in BM HC 149 Buxton Blue. So pretty! And this is the sweet second floor Brides Bathroom. 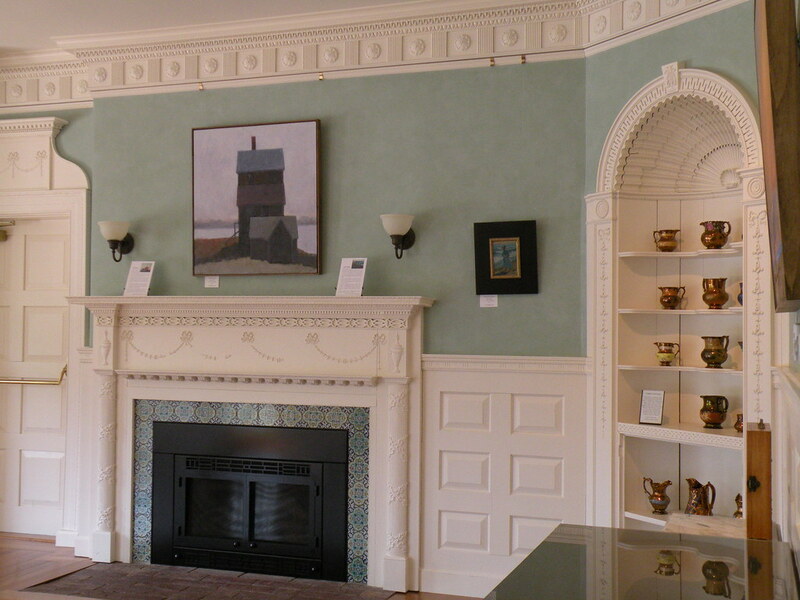 The walls are painted in Benjamin Moore 975. 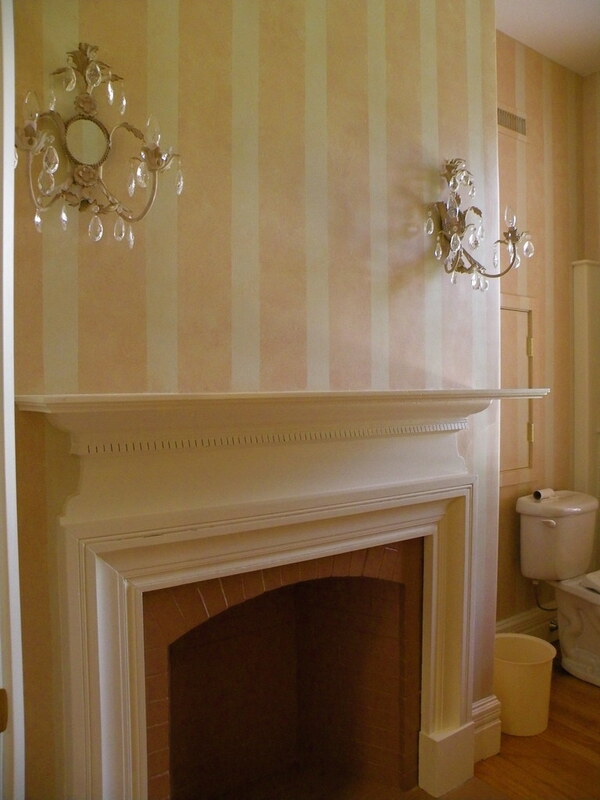 Stripes are painted in a medium blush color with a lighter, sheer overglaze. This home reminded me so much of my visit to the Edith Wharton estate last summer in the Berkshires. It’s a couple of decades older and not quite as grand, but as with the Wharton estate, the maintenance costs are staggering and constant fund raising is needed to keep up with repair bills, heating and improvements. Click here to read more about this impressive restoration project and to learn about all the exciting events that take place year round. Room for Improvement – Pillows! Great job showing off this great estate. 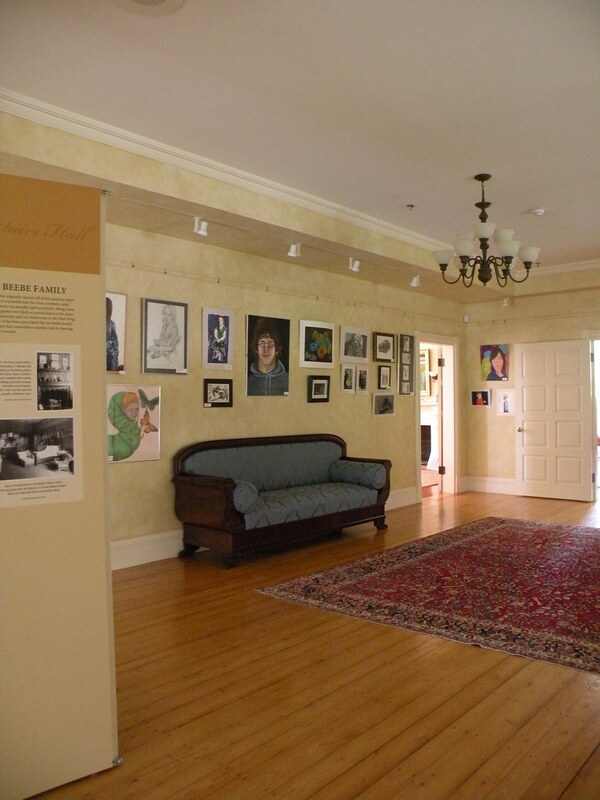 Thanks so much for your wonderful photos and commentary on this historic home and area. I just loved everything! I wonder about the photo that is captioned "Buxton Blue". It looks green on my monitor…maybe my colors are off. Thanks again, Linda, for an inspiring post. Linda, thank you for the tour. I love seeing design and architecture via your eyes! 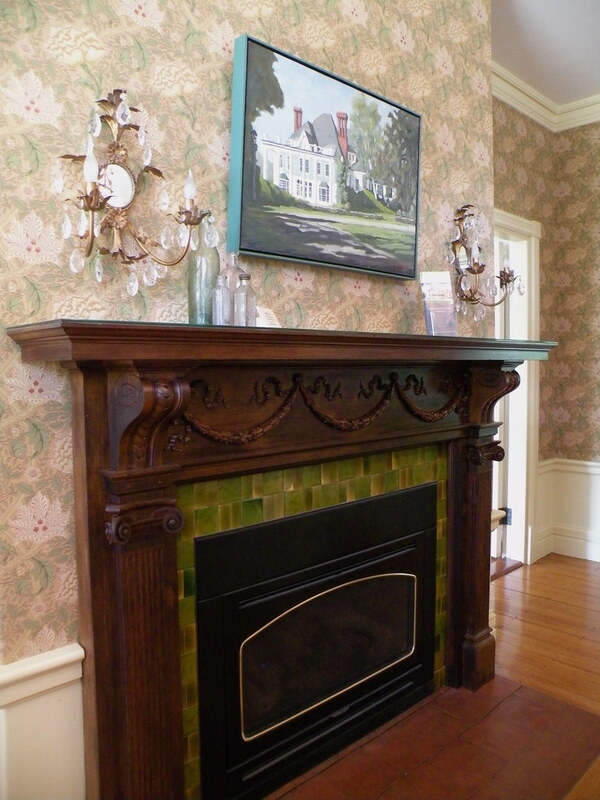 The cast iron stove is marvelous! 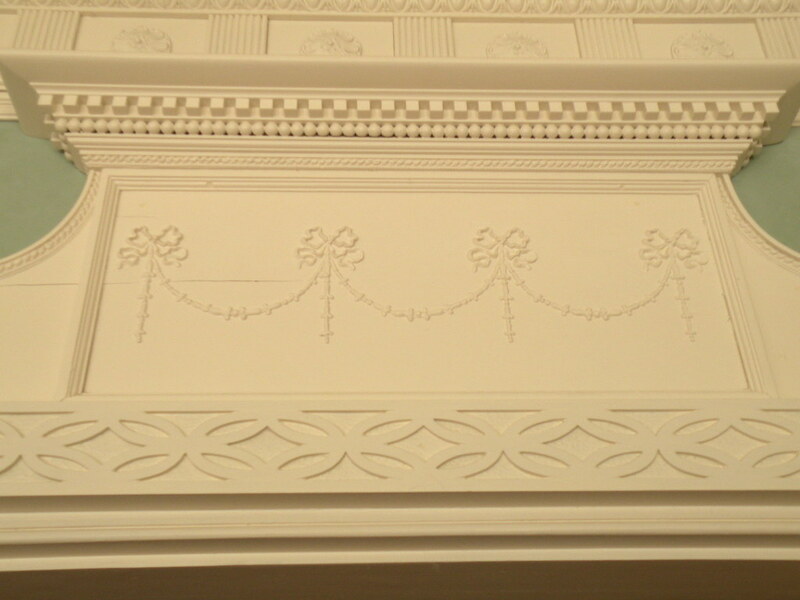 And the plaster and wood work (like the white house!). You are funny with your camera – it goes wherever you go! And we are the lucky ones! Wow, that interior is amazing! 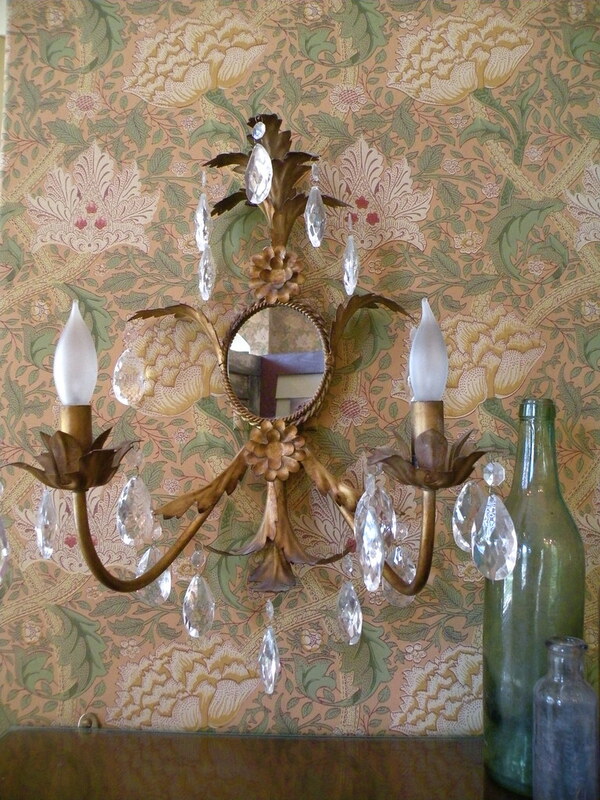 All of that gorgeous wallpaper, green walls, chandeliers, and wood work is stunning. Literally I can't take my eyes off of these photos! Linda…that was a great tour! 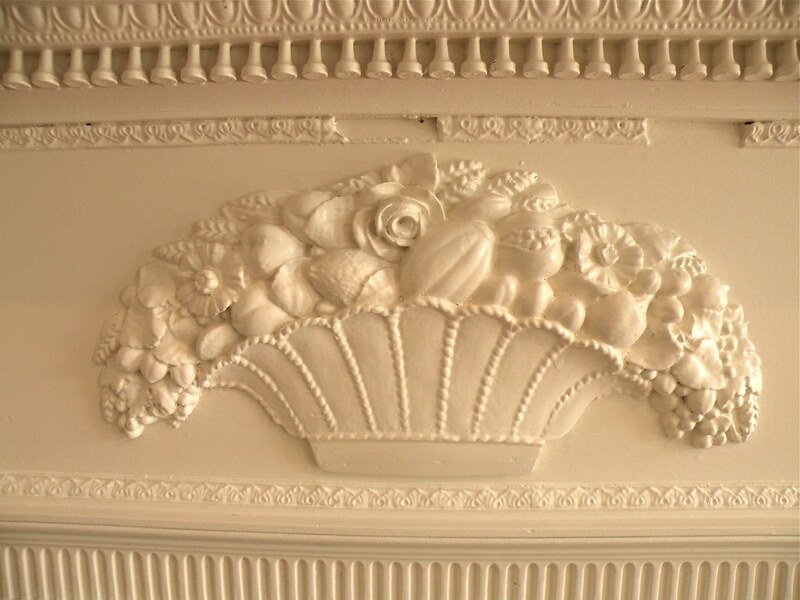 Thanks for all the fabulous pics…the molding and carvings are so beautiful! Hi Sheila – it does look very green in the photo but their documentation says the color is Buxton Blue – which is a little on the green side. Could have been the light. I've been there!!! My uncle was born there and all his family is still there. but his house certainly didn't look like these! hehe. your pictures look gorgeous. Beautiful! Love the light fixtures sprinkled throughout.